March 23, 2019 Supawong Assadamongkol, M.D. 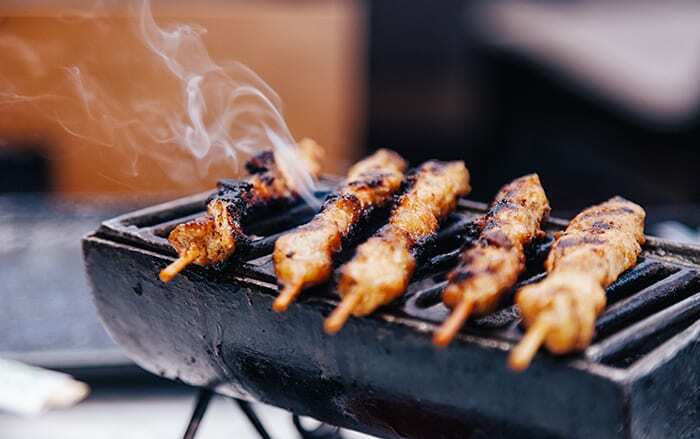 Aside from grilled foods which have a charred coating, foods that have been heat-treated, contain preservatives or have been contaminated with pesticides all have the potential to cause colon cancer. Food deep fried in oil that has already been used more than twice has been found to contain cancer-causing chemicals, due to the deterioration in the oil quality. Such chemicals accumulating in the body can increase the risk of cancer occurring in the digestive system. Undergoing colon screening can help reduce the rate of fatalities that occur from this form of cancer. 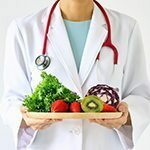 Such screening is especially advisable for high risk groups, such as people with a family history of cancer or those who enjoy foods capable of causing cancer. is a commonly used phrase, and one which has been proven to be true. Heterocyclic amines (HCAs) and polycyclic aromatic hydrocarbons (PAHs) are chemicals found in grilled foods that have become charred. They occur due to heat reacting with the fats found in meat, resulting in toxic smoke. If such foods are eaten regularly, these chemicals can accumulate in the body and have the potential to cause colon cancer as well as breast, lung and stomach cancer. Acrylamide is a chemical found in food that has been deep fried or baked at high temperatures, for instance, French fries, crunchy breads and biscuits. It is especially prevalent in foods that have been fried in oil which has been used repeatedly, on more than two occasions. Oils have been found to produce this chemical as their quality deteriorates from repeated use. When this chemical is allowed to build up in the body over time, it can increase the risk of cancer in the digestive system. Additionally, if the smoke produced by the aforementioned oils is ingested, it can result in an increased risk of lung cancer. Nitrate nitrite is a chemical substance used as preservative, giving processed meat products their red and pink colorings, such as sausages, ham, bacon, sour pork, Chinese style sausage and salted beef. Nitrite reacts with the amine-based ingredients in these products and amino acids present in the stomach to produce nitrosamines, a chemical capable of causing cancer in various bodily organs, including the pancreas, esophagus, bladder, liver, kidneys, stomach and colon. If such chemicals cannot be avoided, their intake should at least be reduced. Organophosphate is found in pesticides, so it may be found on contaminated fruits and vegetables. Surveys have found that, of the insecticides used in the agricultural industry, the most commonly used are those containing organophosphate. Furthermore, in today’s society with a preference for immediate results, how many of us are still cooking our own food at home? Also, how many of those cooking at home are paying enough attention when buying fruit and vegetables to ensure that they are grown organically, or that they are properly washing their food before eating it? Studies have been linking this chemical with the onset of acute myeloid leukemia, brain cancer, lymphatic cancer and cancer of the digestive system. Acetaldehyde is contained in alcohol, so regular drinking can increase the presence of this chemical in the body, making it difficult to be flushed out in a timely manner. This can eventually lead to destruction of the body’s DNA and stimulate the production of numerous types of cancer-causing genes. 5 Toxic Chemicals Capable of Causing Colon Cancer Aside from grilled foods which have a charred coating, foods that have been heat-treated, contain preservatives or have been contaminated with pesticides all have the potential to cause colon cancer.